Indian poet Javed Akhtar and actress Shabana Azmi reached Lahore to attend the Fourth Faiz International Conference that kicked off in Lahore at Alhamra Hall on 15th November 2018. The festival continued till 18th November. 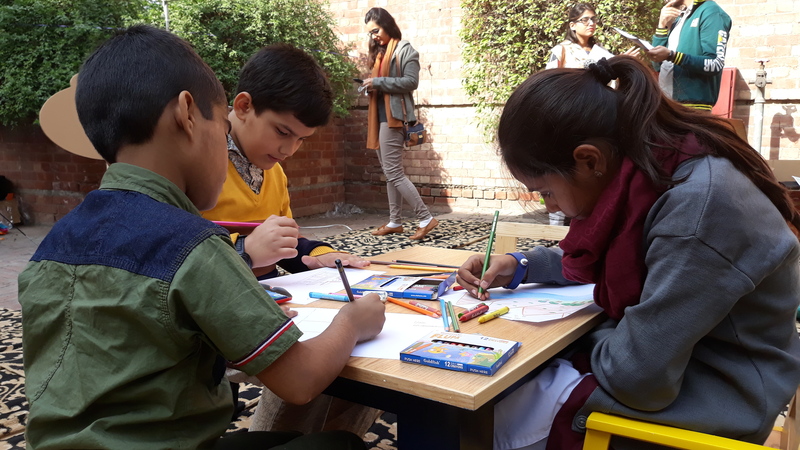 Shabana Azmi attended the program on Saturday while Akhtar attended a program on Sunday according to the organizers of the festival. 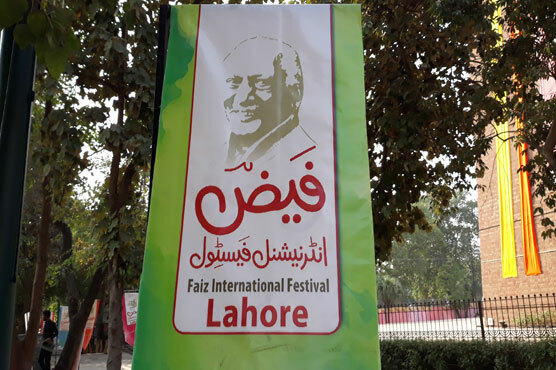 The couple thanked the people of Pakistan for inviting them to be a part of the festival that commemorates the celebrated poet of the subcontinent, Faiz Ahmed Faiz. The daughter of Faiz Ahmed Faiz, Salma Hashmi and Muneeza Hashmi received the couple at Wagah Border in Lahore. 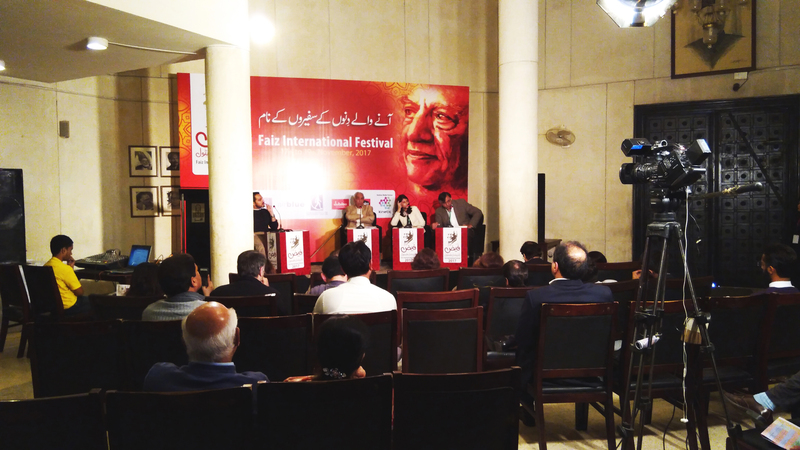 The festival was open and free of cost except for the performances of Tahira Syed, Zia Moheyuddin and Tina Sani. “We will never forget the love and respect which we received during the visit”, they said. On the first day of the festival, Saleema Hashmi and Shabana Azmi, the daughter of Kaifi Azmi talked about the friendship between Faiz and Kaifi Azmi at a session. All the Honorable Speakers spoke in this Session at #FaizInternationalFestival but Loudest of them all was this “EMPTY CHAIR”. Chair explained how free are the one’s to express there views who had different opinion. The couple also met Punjab Governor Chaudhry Sarwar and Punjab Information Minister Fayyaz ul Hassan Chohan, who presented the visitors with a bouquet of roses. 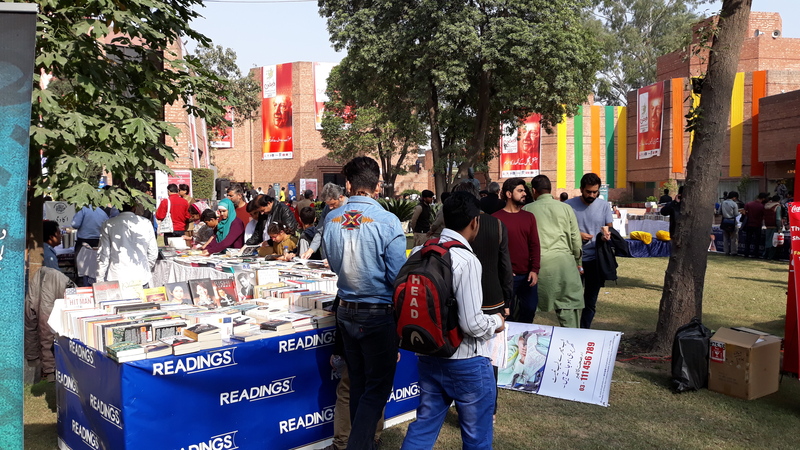 The festival is a platform to celebrate the art, music and literature. 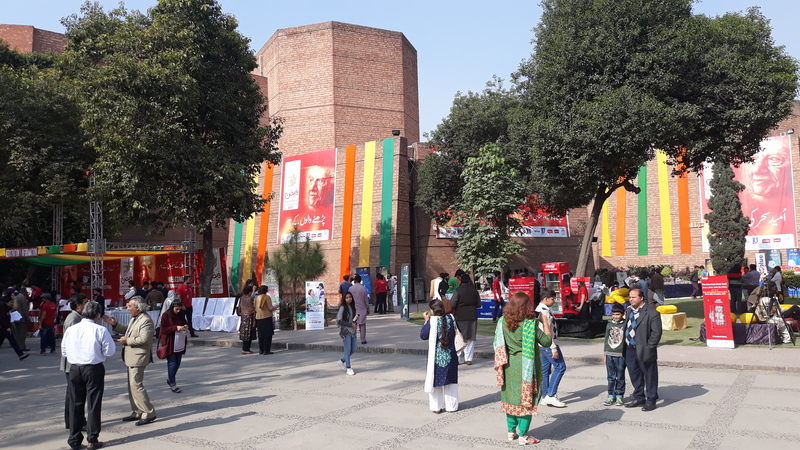 It featured theatres, plays, performances, folk artists and panel discussions. The festival was open and free of cost except for the performances of Tahira Syed, Zia Moheyuddin and Tina Sani. 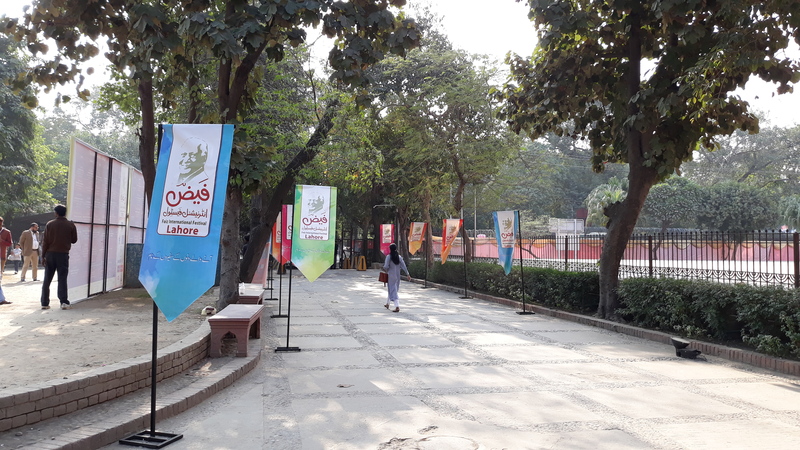 Some of the highlighting performances in the three-day-festival included Kaala Mainda Bhes, a play orchestrated by Ajoka theatre to celebrate the work of Madeeha Gohar, a dance performance called Saaqia Raqs Koi Raqs-e-Saba Soorat’ and reading by prominent figures, poetry, recital etc. 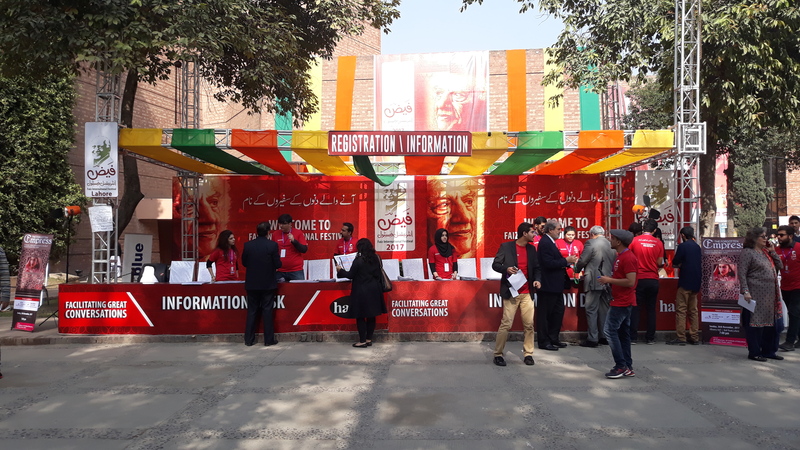 Popular Pakistani artist like Javed Sheikh, Samina Pirzada, Sania Saeed, Samiya Mumtaz, Saba Qamar, Imran Abbas, Samina Ahmed, Simi Raheel, Zeba Bakhtiar and Irfan Khoosat graced the event and participated in various programs and sessions at the festival. Previous articleThe U-Turn Hype: Anti-PTI Media twisting words yet again?